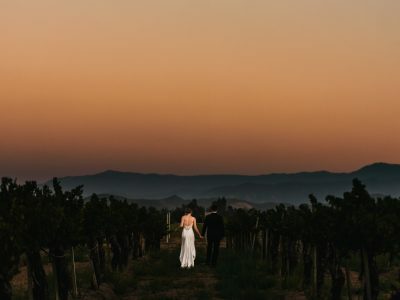 There are a lot of popular wedding venues in Temecula wine country, but one of the hidden gems in the area is a venue called Fazeli Cellars. 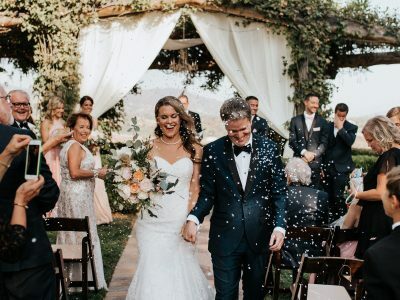 What makes Fazeli Cellars different from other wedding venues in Temecula is the architecture offering elegant towers and a jaw-dropping dual grand staircase. And of course the location still gives any bride and groom the iconic vines that are symbolic of Temecula wine country. 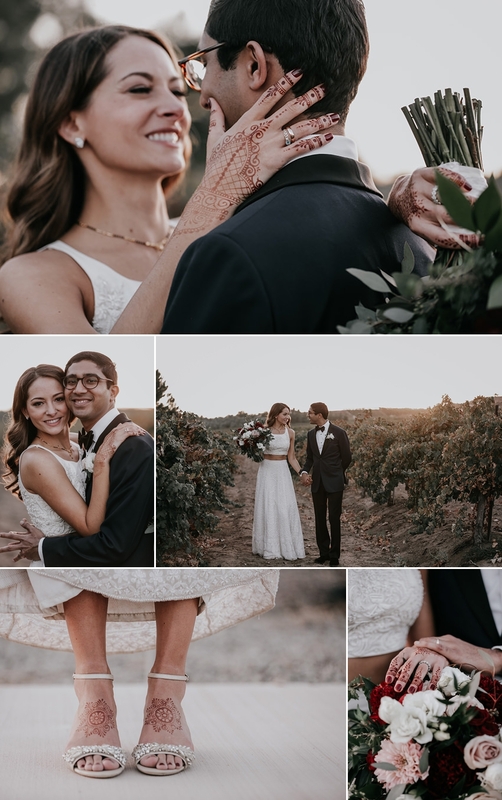 However, this blog post is not a advertisement for Fazeli Cellars, but rather a post about Kam and Elizabeth’s Temecula destination wedding! So we will just take a step back and let the amazing photographer who captured the wedding tell you more. 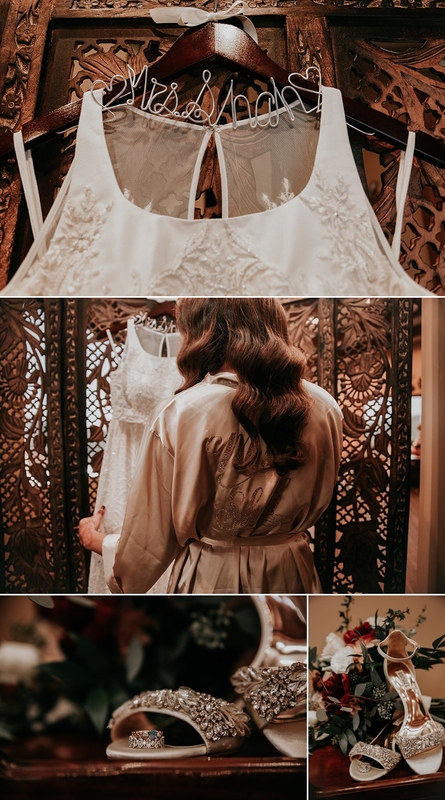 Below are the photographs and words of Brittney from Astray Photography who documented Kam and Elizabeth’s wedding day at Fazeli Cellars! 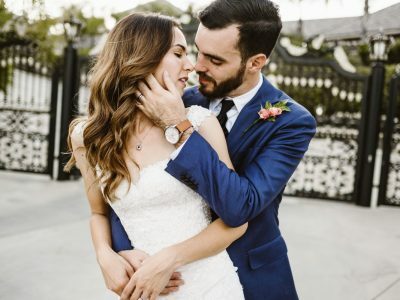 Was This Your First Temecula Wedding? No, we have been shooting in Temecula wine country for a little over 5 years. However, this was our first wedding at Fazeli Cellars, and we LOVED every moment of it! The Temecula wedding venue was fantastic but the best part was the diversity of this religious wedding. With the groom being Indian (Kam’s parents came from India), capturing the ceremony with so many traditional Hinduism practices was really amazing. I also was obsessing over this stunning two piece wedding dress Elizabeth rocked! 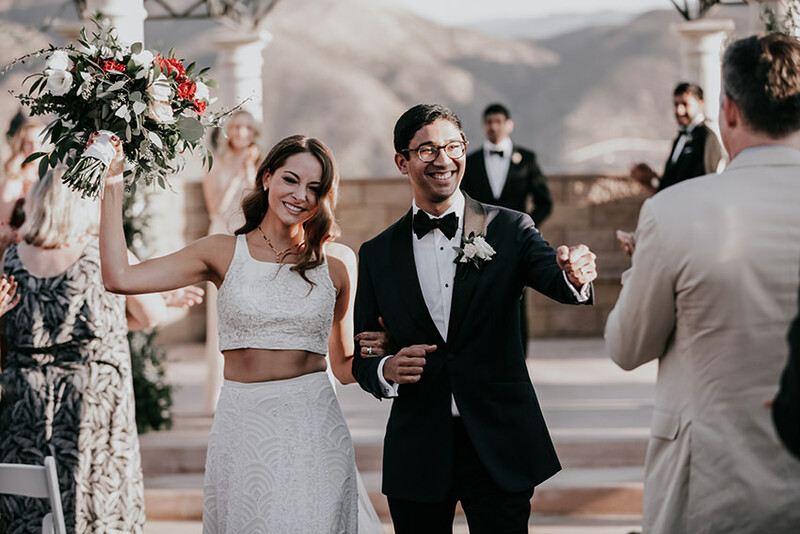 From the stylish bride to the architecture of Fazeli Cellars, we loved everything about this Temecula wedding! My favorite part about Temecula wine country has to the sunsets for sure!!! In our opinion Temecula has some of the most amazing sunsets! The way the sun glows as it drops behind the mountains is breathtaking! BUT nonetheless … the vineyards, I have this weird obsession with the vineyards. You can always create some sort of story even in the winter months when the vines are bare and a bit eerie. The bride (Elizabeth) and groom (Kam) were both from Chicago, choosing to travel to Southern California for a destination wedding in Temecula. They shared a bond of not only love but enjoyed just having fun together. They really were awesome people. Not to forget their love for ice cream, instead of having a wedding cake they had Cold Stone Creamery during the wedding reception! This might sound cliché, but there were no struggles on this wedding; everything went smooth and the bride and groom had an amazing time with their guests. My favorite moment of this wedding had to be the first look with the bride and her father. She was his only daughter and they shared this connection that was so sweet and priceless. They even shared this pretty epic hand shake that they did after the first look and when he handed her off at the wedding ceremony. One of my favorite parts of being a wedding photographer is capturing the organic and real moments that the bride and groom share. I love to pose them enough to feel comfortable however direct them to he engaged with each other so I can capture the real laughter and moments that occur. I love to have my couples move often, not to stay in one position for long so that the moment does not look staged (walking/running toward me, talking to each other, laughing, expressing their love …etc. 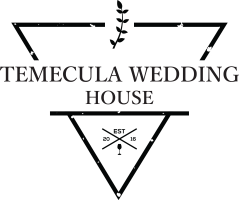 Those interested in viewing more religious Temecula weddings can check out this Jewish wedding at Temecula Creek Inn Stone House.